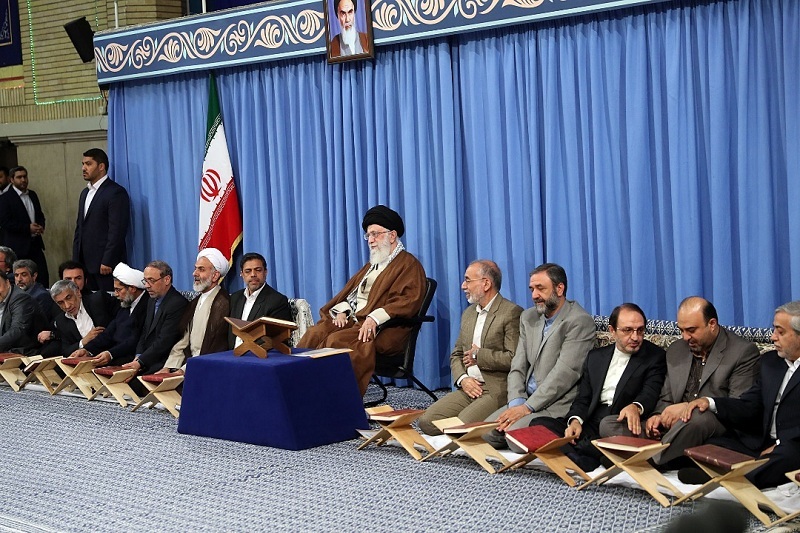 On the first day of the blessed fasting month of Ramadan a ceremony of intimacy with the holy Quran was held in the presence of Leader of Islamic Ummah and Oppressed Imam Sayyed Ali Khamenei on Thursday. Memorizers, reciters and teachers of the holy Quran from across Iran also were present at the ceremony. Participants read verses from the holy book and religious choirs also performed pieces in praise of the Almighty God.